This cheaper version of our hugely popular thunder shaker range is played by holding the tube section and allowing the metal spring to dangle freely, the instrument is then gently shaken from side to side. This creates a fantastically realistic thunder sound which must be heard to be believed! The more vigourously the instrument is shaken, the more of a booming thunderclap the player is able to produce. 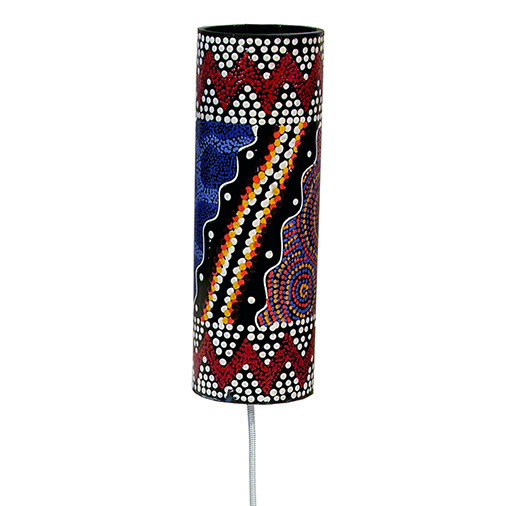 This Fair Trade instrument is hand crafted in Bali and is decorated with beautiful and colourful dot painting. Each shaker will have its own uniquely handsome design because of this careful process of embellishment. When using this instrument it is possible to produce a wealth of other interesting noises with experimentation. One staff favourite is to tap the spring with a pencil whilst it is reverberating to create a sound uncannily like a tube train rattling through the underground. Try it yourself and see what other atmospheric sound effects you can create with your thunder shaker!